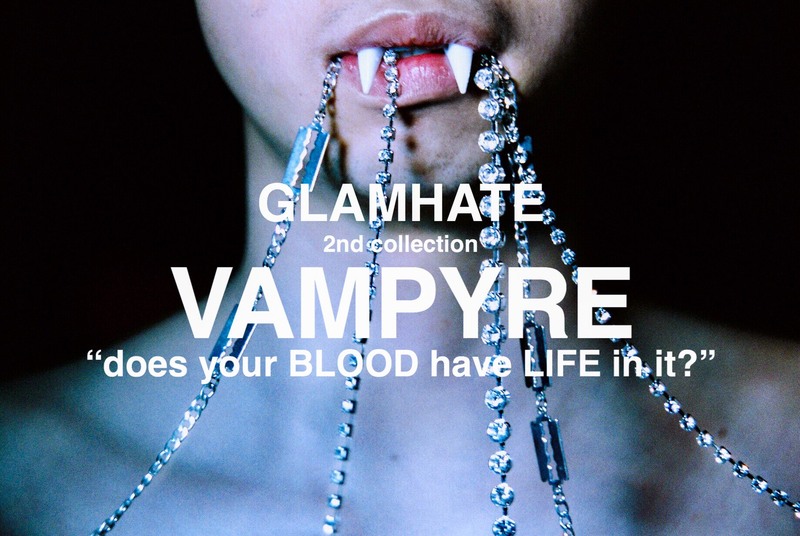 Yasumasa Yonehara (aka Yone) is one Japan’s most well-known and influential fashion magazine editors and photographers. 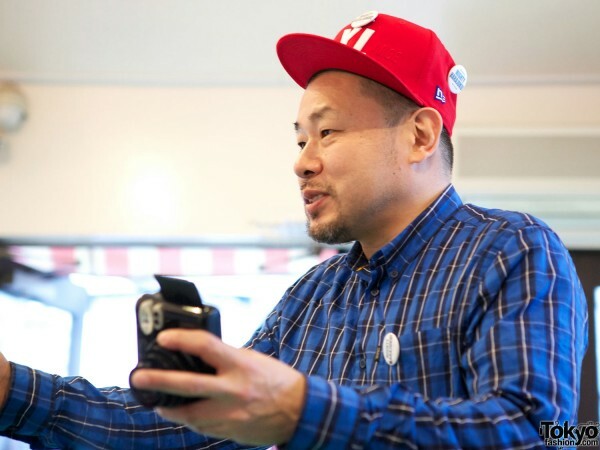 As famous as he is, Yone is also one of the coolest, most down-to-earth guys you could ever hope to meet – and someone who cares deeply about people in need. 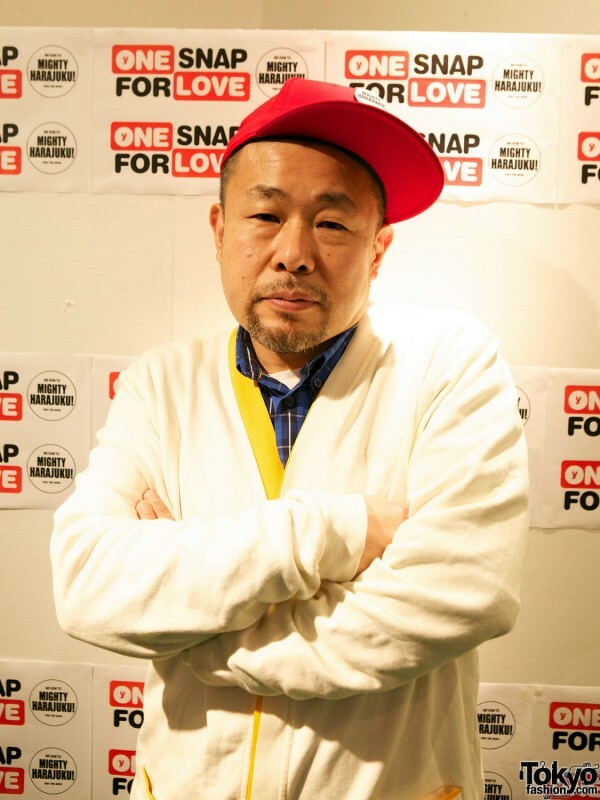 To that end, Yone created a project called “One Snap For Love” to utilize his photographic talents in an effort to raise money for victims of the devastating earthquake and tsunami that struck Japan on March 11, 2011. 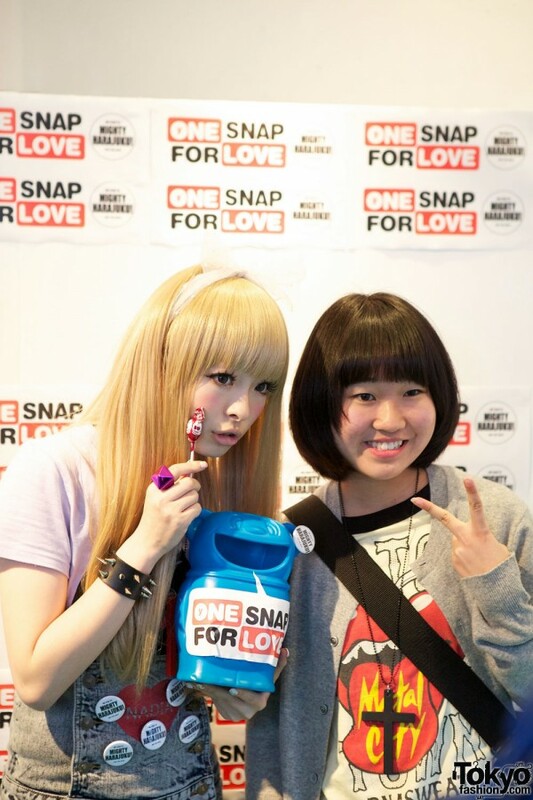 One Snap For Love held a special fundraising event this week in Harajuku in collaboration with the super-popular and amazingly-cute Japanese blogger and magazine model Kyary Pamyu Pamyu (sometimes known as “Carrie”) and Japanese fashion brand 6%DOKIDOKI. 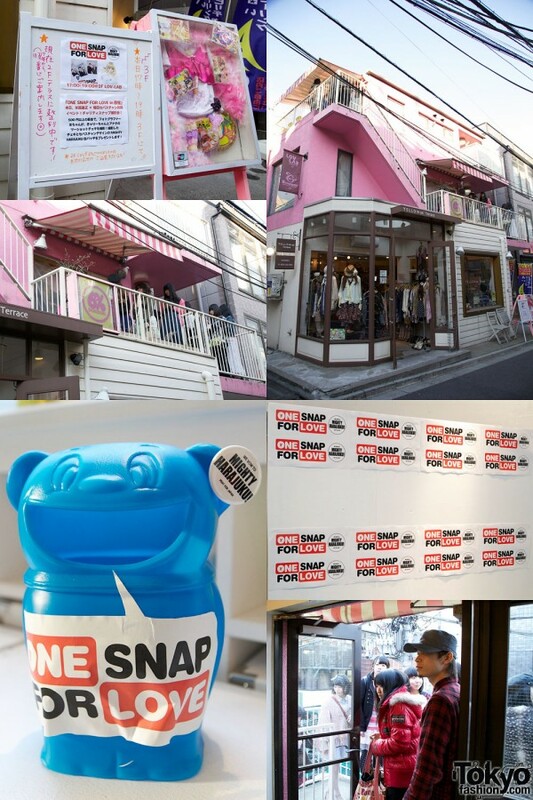 The Harajuku One Snap For Love event was held at the “Lovelies Laboratory” (Lov-Lab) space just above 6%DOKIDOKI’s shop. 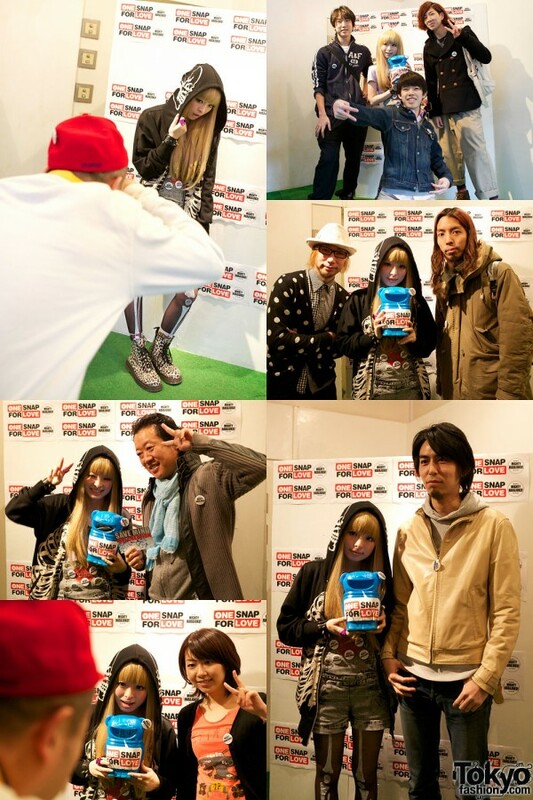 For a 500 yen donation to earthquake relief, those who came to Lov-Lab on Thursday night could have their photos taken by Yone (with his famous Cheki instant camera) while they posed with Kyary Pamyu Pamyu. Participants were also given free “MIGHTY HARAJUKU Project” pins by the 6%DOKIDOKI staff. There was already a line outside of Lov-Lab Harajuku by the time the event started, with Tokyoites out in force to show their support for the victims of the recent disaster. Yone, Kyary, and Sebastian made sure that everyone had a good time and that each person left with a cool photo to remind them of their good deed. We recognized quite a few people from various Tokyo shops, brands, and other organizations offering support for One Snap For Love – including Spinns, LaForet Harajuku, Ravijour, Asobi Style, MaiSassyGirl, DJ Yumemi Nemu, the 6%DOKIDOKI shop girls, and many others. 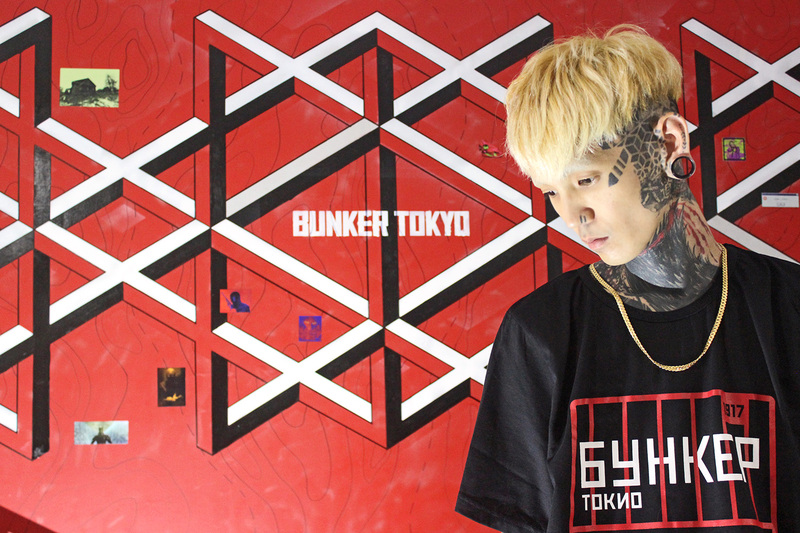 TokyoFashion.com photographer Kira attended the event and took photos to share with those of you in other countries that couldn’t attend. If you are in Japan (or plan to visit in the near future), Yone will be holding other One Snap For Love fund raising events in the coming months. Definitely keep an eye on his blog for announcements. On a personal level, everyone here at TokyoFashion was really happy to see so many people – young, old, and everywhere in between – coming out to show their support for – and donate to – earthquake relief. We also really appreciate all of the effort that Yasumasa Yonehara and his wonderful wife Yohko, Sebastian and the 6%DOKIDOKI crew, and Kyary Pamyu Pamyu and her team all put into making the One Snap For Love Harajuku event a success. 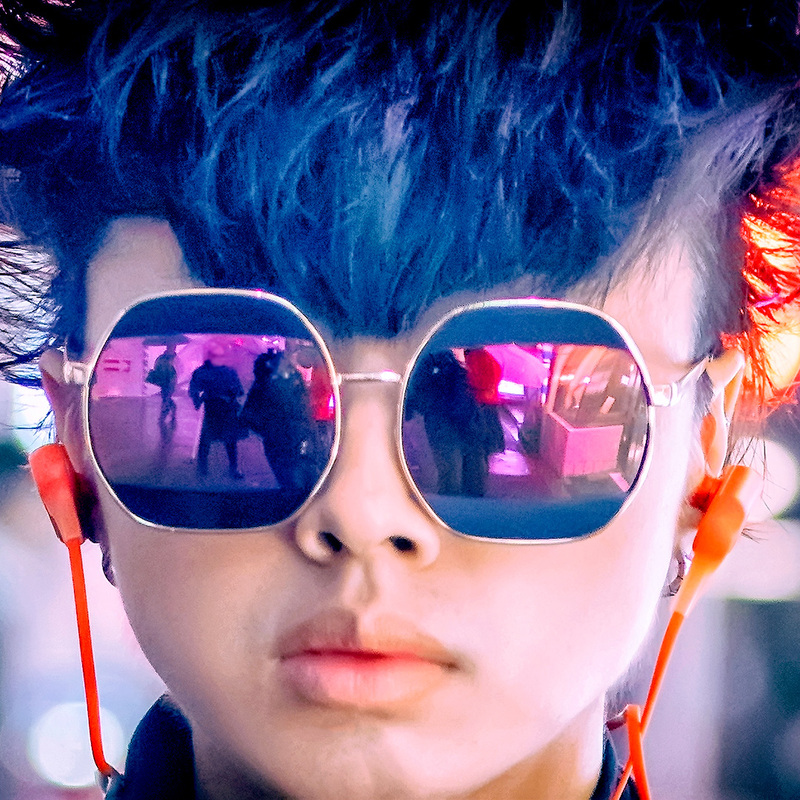 When people think of Harajuku, they most often think of the amazing fashion that we all love. 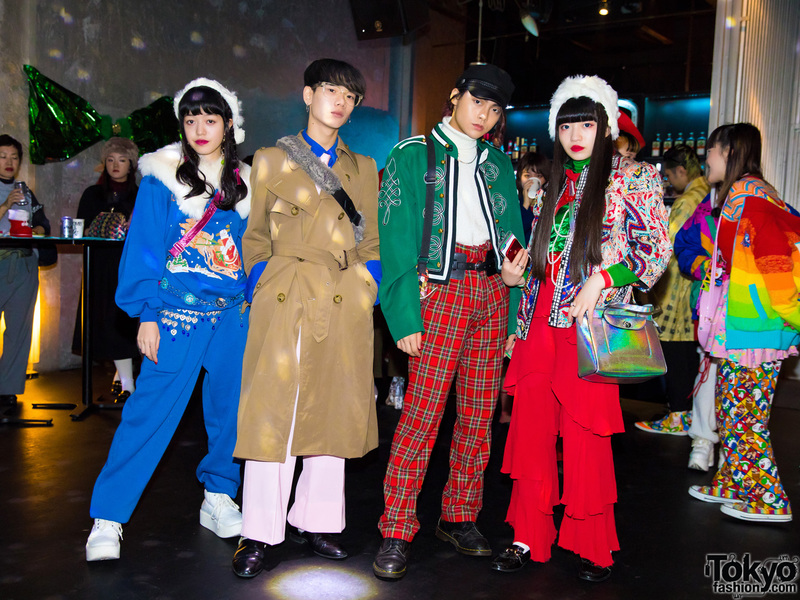 But events like this show something else that we’ve known all along – that Harajuku has a big heart beating below all of those cool clothes. Enjoy One Snap For Love and remember that you can click on any of the pictures to blow them up! Aulia = > Just read the text. We are really glad to have this post. 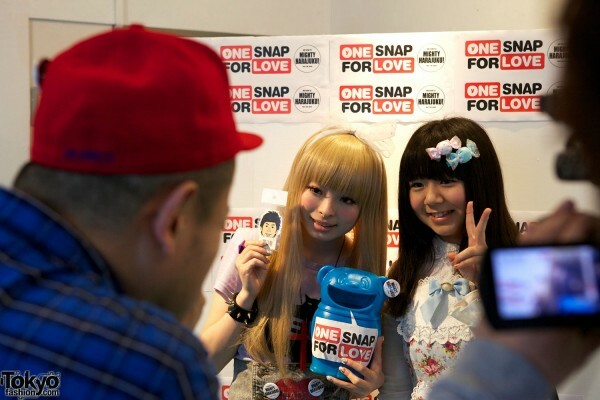 YONE will do “One Snap for LOVE” in anywhere. Surely next stop is Hong Kong at PLAZA HOLLYWOOD on 23rd April.